Got the hatches battened down, Josh? Meh, I am not worried. It looks like it will be missing up for the most part. There are parts of the city under evac but that is because of low lying areas. We do have a curfew tonight though. If it get's bad I will just pack up computers, cat, clothes and drive north. Yeah, and if it goes according to plan, you'll be on the weak side. So, YAY! Well it skated right past us and hit southern Mississippi and Alabama instead. We got a little rain but nothing major and no debris outside that I seen. 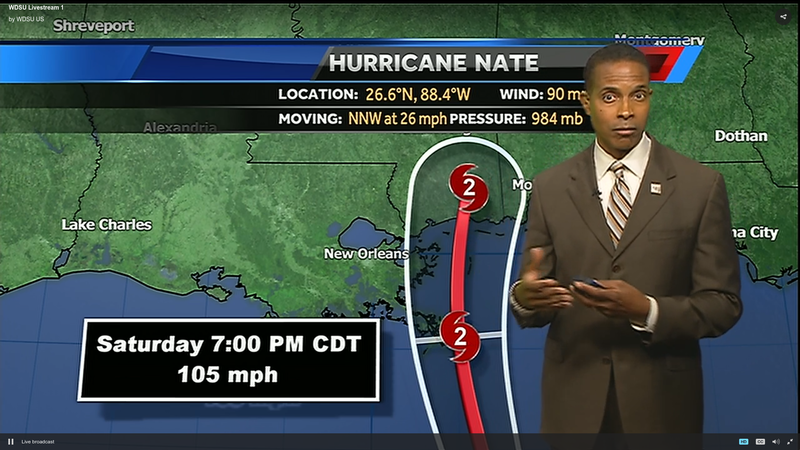 It's a nice sunny Sunday morning here in New Orleans..
We are getting Nate's heavy rain in my part of PA. It should end by early evening. It has been so dry this month that we are glad for the rain.